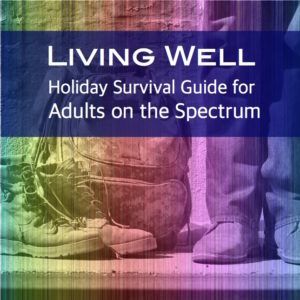 The holidays can be an especially challenging time for folks on the autism spectrum. Depending on your religion and location, the excitement can last from October through December, without much of a break along the way. Many of us are solitary, silence-loving introverts, and being thrust into the sometimes frenzied, social pace of the holidays isn’t easy. Not only are our routines disrupted, but we’re also bombarded with sights and sounds and smells and sensations that overwhelm our sensitive natures. The constant stream of demands and expectations from others, pressures to “perform” well socially, and add extra activities to our normal routine can be exhausting. Just sit out the holidays? Some of us do, of course, while others either don’t have that option or genuinely want to be a part of holiday activities. 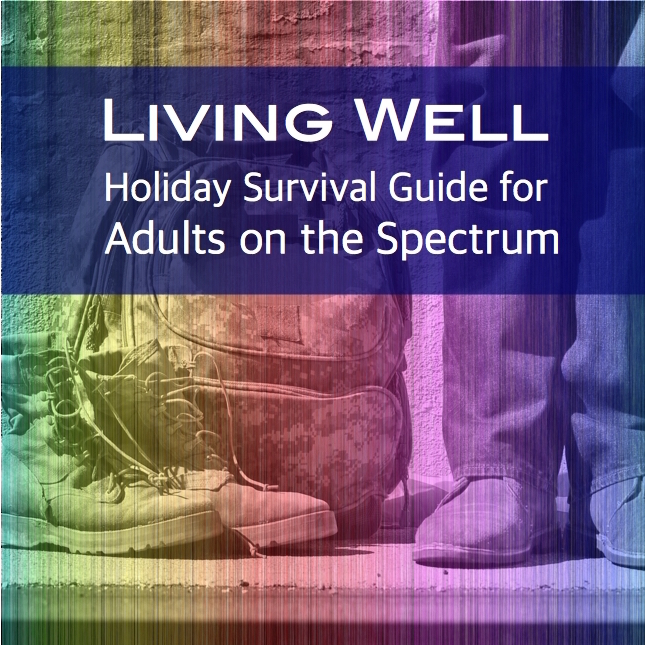 It’s often a time for family and friends, but even if you are a solitary, the holidays still include a fair amount of disruption to the normal flow of everyday life. You can find a full list of posts here. While we have structured this guide in a way that makes sense to us, you may wish to use it in your own individual way. You can print off pages to put in a binder or combine with a journal you keep. You may find some of the sections don’t necessarily apply to you, and choose not to use them. Or you may find some sections that we did not include, which you think we should. We’re always open to suggestion, so if you can think of ways to improve this guide, by all means, contact us or start a discussion in the comments section below.